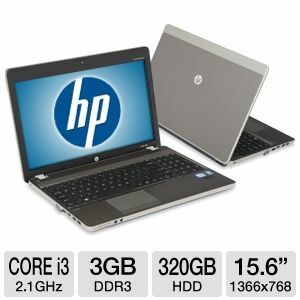 Get 2 HP Notebooks at Tiger Direct for only $499. Save $90 on the HP ProBook Notebook and save $100 on the HP Pavilion dv7 Notebook. Intel Core i3- 2310M 2.1GHz processor, 3GB DDR3 RAM, 320GB HDD (hard disk drive), 15.6" HD (high definition) LCD Display, and Windows 7 Professional OS (operating system). 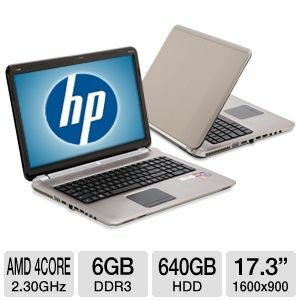 AMD Quad-Core A6-3400M 2.30GHz processor, 6GB DDR3 RAM, 640GB HDD, 17.3" High Definition plus HP BrightView LED Display, and Win7 Premium 64-bit OS. Comp and Save is offering a store wide promo of 12% with the promo code HOLIDAY12. The deal is valid till 12/31. Take a look around the site and you’ll find other treats too. Today’s deal features the New Compatible Canon PGI-5BK CLI-8BK/C/M/Y 12 Ink with a Retail Price of $93.88. It’s currently offered at $53.88, so you actually save $40.00. You should also take advantage of the ‘hot bundles’ deals and the ‘hot items’ products. Whether you’re shopping for home or office use, Comp and Save will have you save money on the best inks from top manufacturers. You can click here to start shopping. Save on ink at Comp and Save! If you’re tired of those one deal a day sites which can offer you nothing but one single deal every dragging day, then these amazing deals from Newegg will have you refreshed. 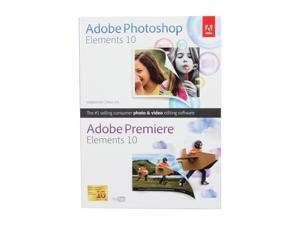 Hundreds of items are literally offered at discounted prices which no other site can beat. Find deals on computers, PC components, peripherals, home theater, electronics, home & outdoor products, jewelry & watches, toys & games, and so much more. What’s also amazing with Newegg is its shopping guide. They don’t simply sell stuff to you; they show you how to buy it. So buy now, only at Newegg! Dell Financial Services helps your finances this Christmas with laptop and desktop deals. You’ll find laptops offered starting at $229. It’s 20% off on laptops priced $400 and up on the other hand. As for desktops, you’ll get 25% off. You can even find desktops priced as low as $112. All these are offered with free ground shipping too. So whether you’re looking into buying personal or business computers, Dell Financial Services is here to help you financially with these laptop and desktop deals. You can browse through the whole selection here. Bring home a laptop and desktop now! Tech for Less is showcasing its holiday specials just for you. Find gift ideas for Christmas or just purchase for yourself. A wide array of items is currently offered at discounted prices. 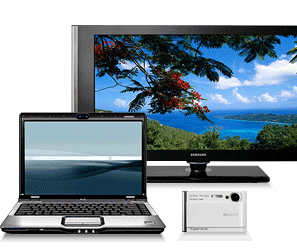 These include laptops, desktops, monitors, TVs, MP3 or portable audio players, printers, cameras, and so much more. What makes Tech for Less the ideal online store is that the site offers instant discounts and savings upon purchase of items online. All purchases come with a 90 days warranty too. In case of returns, there’s a 45 days money back guarantee with free return shipping as well. So start shopping for gadgets and gizmos now, only at Tech for Less! Tiger Direct features its Cyber Week Component and Upgrade Clear Out promo. On top of the long list of products offered at discounted prices is the 4 GB Athlon III Triple Core Complete PC kit with 60 G SSD. It’s currently offered at $199.99 after rebate (value $399.99) so you save $200. Scroll down the entire page so find more amazing deals including hard drives, PC parts & components, desktops, and laptops. 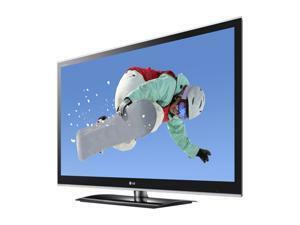 You’ll also find HDTVs, electronics, and so much more. Take advantage of the Tiger Direct Cyber Week promo. Remember, it’s only good for the week! Bring home routers, access point, extender, bridge, adapter, switch, and web camera at less than $100. Refurbished Linksys products tested and certified by Cisco technicians are up for sale. Cisco is an industry authority when it comes to Internet and computer networking products. Linksys, one of its top brands, remain as one of the premiere products when it comes to your business or home web connection needs. So if you’re looking into buying Internet networking equipment, Cisco and Linksys are the best option for you. Browse through the selection here. And bring home refurbished Linksys products tried, tested, and certified by Cisco. Time to change your old monitor and upgrade to a new monitor, it’s possible through Dell Financial Services. It's free ground shipping too for all orders. Just make sure to purchase before 12/14 to make sure you receive the item before Christmas. Hundreds of monitors are on sale for the holidays. Find one that perfectly matches your home theater system, your budgets, and personal preferences. Monitors with VGA or DVI interface are available. Entry level, ultra sharp, and widescreen performance monitors are also listed. Browse through the rest of the list and lookup products based on model and resolution. Hundreds of monitors at less than $200 are offered too. So don’t miss your chance to bring home a brand new monitor. Buy one now from Dell Financial Services! Save money on 500 items at this 72 hour holiday sale from the Mac Mall. Find all Apple or Mac items at discounted prices. Save as much as 70% off! You’ll see Mac Pro, MacBook Pro, MacBooK Air, iPads, iPod touch, iMac, Mac Mini, iPod nano, iPod shuffle, iPod classic, tablets, headphones, iPod, iPhone, & iPad alarm clock, speakers, car stuff, styluses, accessories & bags for iPod, iPhone & iPad, software for business & productivity, creative software for consumers & professionals, software utilities, cases for iPad, iPhone, & iPod, Blu-ray players, digital photo frames, digital cameras, displays, mouse, Apple TV & media players, HDTVs, camcorders, home theater receivers & remotes, presenters & recorders, networking, desktop, portable, or internal storage equipment, internal memory, NAS storage, flash memory, SSD memory, keyboards, hard drive enclosures, PCs, cables & accessories, headsets, notebook accessories, locks & computer power supply, printers (laser, ink jet, all in one), projectors, GPS, and so much more! Overwhelmed by this list? Wait till you see the actual stuff. Click here! Tiger Direct brings you a series of cyber deals starting with the Sony PlayStation 3 Core System equipped with 320 GB memory. It’s currently offered at $219.99 with price value of $299.99, so you save $80. The Sony 98424 PlayStation 3 320 GB Core System comes with a free PlayStation Network membership, a built-in WiFi system, and 320 GB hard disk internal memory storage for games, videos, audio, and more. Scroll down the deals page and find more items including HDTVs, Blu-ray disk players, PCs & accesories, MP3 & headphones, cameras, GPS devices, video games, monitors, and more! Click here. Bring home Sony PlayStation 3 Core System at $80 less, only from Tiger Direct!